It’s a mouthful. And it happens every day in every wastewater system, but it happens without many of us knowing about it. The sources vary, the flows vary, and the solutions vary, but the motivation to mitigate I/I is the same. The addition of excessive clear water (I/I) into local and regional wastewater systems can have many effects including basement backups, wastewater overflows, the excessive use of remaining pipe capacity reserved for future growth, and added treatment costs. Inflow and Infiltration – or I/I – are terms that describe clear water that enters wastewater collection systems through defects and consumes treatment and conveyance capacity. 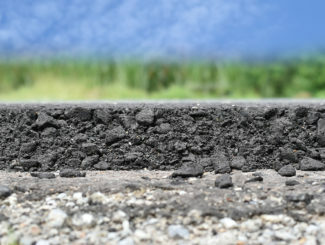 Typical sources of I/I are broken service laterals, connected sump pumps or downspouts, aged or defective sewer mains, and deteriorated maintenance holes. Even though many communities were developing and implementing programs to eliminate combined sewer connections decades beforehand, the story of I/I in the Twin Cities effectively begins in July 1987. Yes, the superstorm of ’87. It had big impacts 30 years ago: sewer overflows to rivers and lakes, flooded basements, comingled water in our streets, and a lingering series of videos on the internet highlighting top-notch 1980s meteorology reporting. In some areas, reported rainfall exceeded 10 inches in one day, as part of the 16 inches experienced over much of the metro region that week. 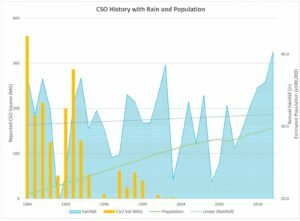 It was even the second wettest summer on record (2016 was the wettest). The storm and its effects spawned a series of studies to understand the impacts of I/I on wastewater systems throughout the region. A 1990 study by MCES concluded that roughly one-fifth of wastewater treated in the region was from I/I. It was clear (pun intended) that the wastewater systems needed some rehabilitation, and that source removal would have a significant impact on reducing base and peak flows from I/I. In response, communities and MCES ramped-up efforts on I/I mitigation and combined sewer disconnection. After years of investment, peak flows and combined sewer overflow (CSO) volumes had been reduced, but not eliminated. In 2004, the first MCES I/I Task Force – representing communities served by the regional wastewater system – recommended a long-term systematic approach to reducing peak flow, now known as the Ongoing I/I Program, which is administered by MCES. The superstorm is still having effects today as communities throughout the region work to repair their systems before an event of that magnitude happens again. During much of the last decade, the efforts to mitigate I/I have focused on repairing sewer mains and maintenance holes through lining or replacement projects. There has also been significant effort into mitigating surficial inflow sources such as vented MH covers, rain leaders, and roof drains. There is evidence of success from all this effort. 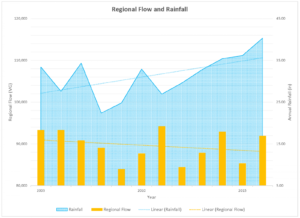 At the regional level, there is a diverging trend, with rainfall totals increasing and wastewater flows decreasing, even as the population has increased. Also, by comparing major rainfall events in 2005 and 2014, regional precipitation increasing by 62% in the weeks leading up to the 2014 event, but the peak wastewater flow at the Metro Plant in Saint Paul decreased by 12% for peak hour and 6% for the peak day. However, almost half of communities in the region discharged excessive I/I during the 2014 event. So, what’s next? 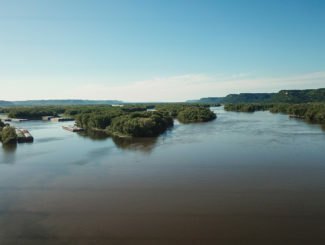 When the Ongoing I/I Program began in the early 2000s, the estimated cost to mitigate excessive I/I into the regional system was largely based on removal of sources at the far upstream ends of the systems – namely from private infrastructure such as service laterals and sump pumps. Many communities have worked to eliminate sump pump connections, and some have instituted programs to inspect and repair service laterals. And it has worked. In a 2016 flow study, communities that included private infrastructure as part of their I/I mitigation strategy were able to achieve up to four-times greater reductions in peak flows than those that focused on public sources. MCES is in process of completing the recommendations of the task force, with most planned for launch in 2018. Communities can expect to see an updated public outreach toolbox intended to share simplified communication materials in a variety of formats. They can also expect more details on an I/I mitigation demonstration project that would provide additional opportunity for measurement of the impact on wastewater base and peak flows. The recommendations are located in the 2016 I/I Task Force Report. A common theme of the recommendations is using regional resources to support communities with effective decision-making and implementation of their respective I/I mitigation strategies. Anyone interested in more information on the program or the demonstration projects is encouraged to visit the program website at www.metrocouncil.org/iandi or email the team at i.i@metc.state.mn.us. And if you have more to add to the regional story about I/I mitigation or the superstorm, we’d be happy to have it! Photos and videos, reports, anything you have. There’s a wealth of information throughout the region, and it would be great to capture that. Marcus Bush, PE is a Principal Engineer for the regional wastewater treatment provider, Metropolitan Council Environmental Services. He administers the Ongoing I/I Program that provides resources and incentives to communities for mitigating excessive flows due to I/I. Prior to his role with MCES, he worked in municipal and environmental engineering, land development, industrial brewing, and the bicycle industry.